Styled with livvie sweater . Styled with tenley top and provence wicker bag . Styled with livvie sweater , tenley top and provence wicker bag . Not your first trip to the macramé loom. 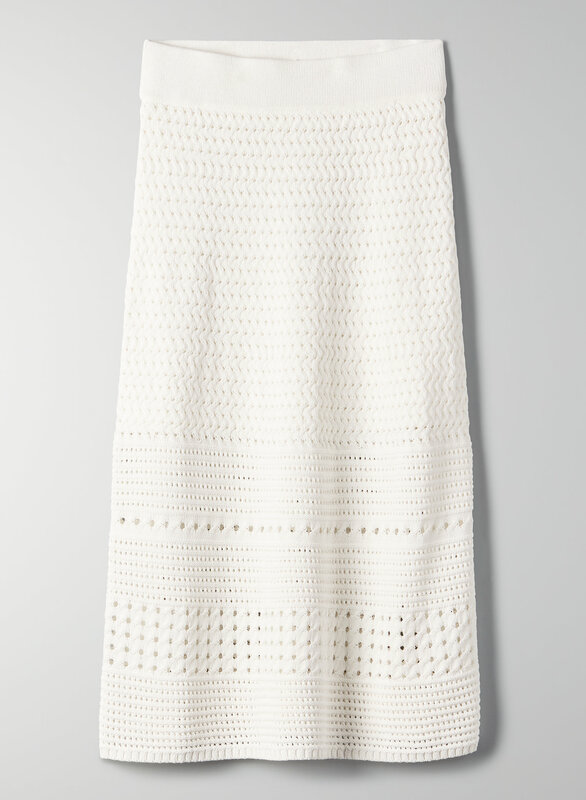 This is an A-line pointelle-knit skirt made from a textural, lightweight yarn.